A Dark Song is a unique, character-driven exploration of an occult ritual aided by a strong script and stellar performances. 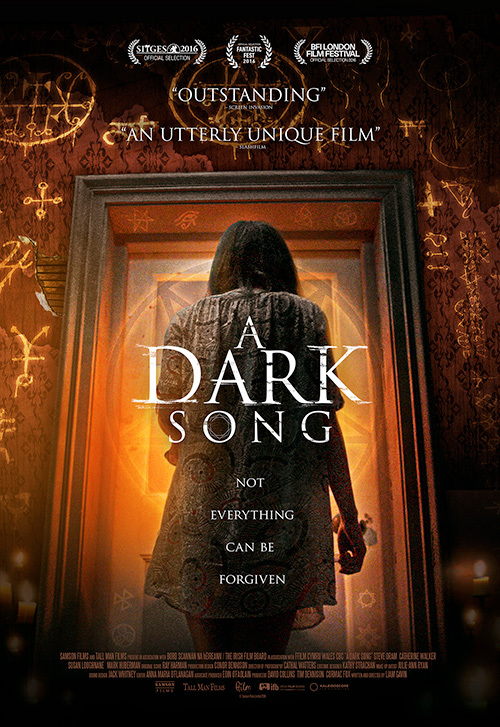 A Dark Song is a film I’ve been looking forward to seeing for quite some time now. It’s been hailed as one of the best indie horror films of the last few years – and it didn’t disappoint in the whole. Starring Steve Oram (Sightseers) in a wonderfully caustic role as the occult ritual expert, and Catherine Walker in a fragile, yet paradoxically strong lead role as a grieving mother attempting to contact her murdered 7 year old son, the film is both dream-like and contrastingly stark in its portrayal of human nature. 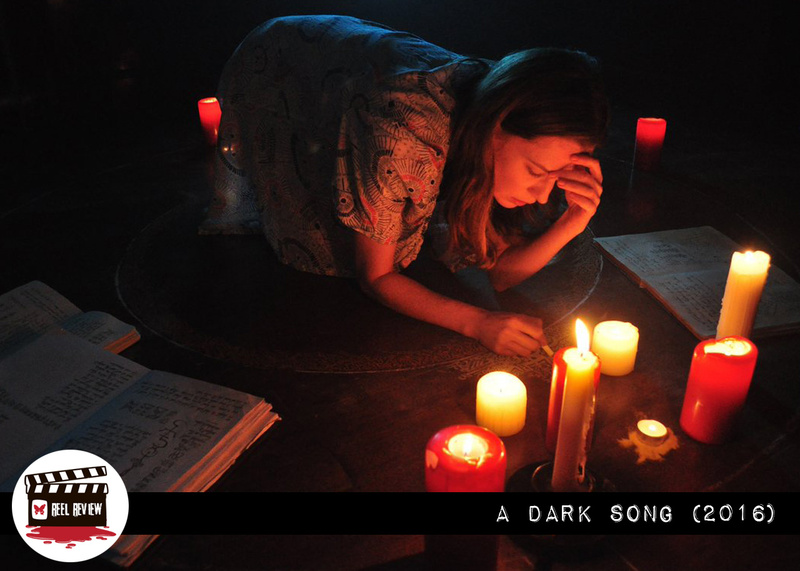 A Dark Song opens at a brisk pace, setting the scene for what follows whilst playing with conventions of traditional horror characters. We see Sophia (Walker) taking out a one year lease on a grand home in an isolated setting, paying with bundles of cash and asking for privacy, which immediately alerts us that this is, perhaps, something unconventional in terms of her intentions. We are gradually introduced to Joseph Solomon (Oram), an occult expert with a deep disdain for Sophia right from the off — who builds his character through realistic mannerisms (note the way he eats in the café at their first meeting) and unnecessarily base language (it fits his character, but is quite contrasting with Sophia’s clipped enunciation). It’s from this moment that my interest piqued. He is far from our conventional expert in occult issues – in fact, despite his obvious and vast knowledge of the dark arts, his cynical nature left me feeling throughout that there was more than meets the eye with him. The majority of the second act of the film treats us by opening a window onto the world of this most unusual summoning ritual. It’s repetitive by its very nature, but never gets bogged down in detail. Instead, it illustrates to us the extreme measures that both characters are prepared to go to in order to achieve their end game. But what are they trying to summon? Seemingly, it’s Sophia’s guardian angel, with the intent of being able to ask a favor for both Sophia and, by way of payment, to Solomon. However, there’s an inevitable twist to Sophia’s intent, which triggers a chain of events that sends things awry for both of them. The director tries hard (and succeeds) in making us dislike Solomon. We’re allowed to see him at his manipulative worst, before attempting to redeem him as things begin to go wrong. But our instinctive sympathies always remain with Sophia, despite her dishonesty being the root cause of the problems that lead to the climactic ending. The film is a magnificently character driven piece, and once the ritual begins, it never lets up building the anticipation. That’s probably the reason that the ending doesn’t quite live up to expectations, but equally won’t leave you disappointed. I do wish there had been a bit more tell and a bit less show with the final few scenes, but I suspect that’s more of a personal preference than a criticism of what is an excellent film. The script and performances both excel in maintaining interest throughout. And if, like me, you’ve always been curious about the occult, this will definitely offer something different from the usual Ouija board invoking-teeny slasher movies that are so mainstream. I highly recommend this film if you’re looking for an intelligent, well-paced drama-horror. Want a second opinion? 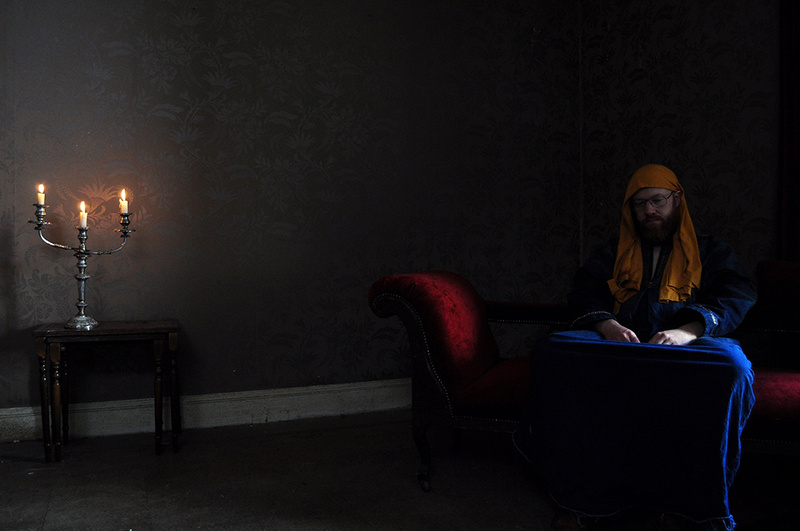 Click here to read an alternate take on A Dark Song. Richard is a horror enthusiast & filmmaker from just outside of London, with a passion for films that buck the trend and leave an indelible mark.